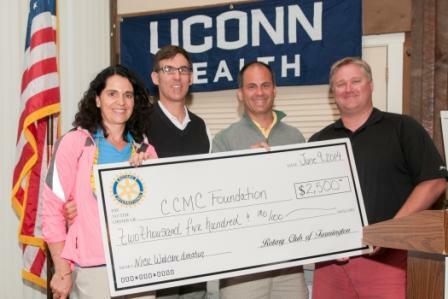 l-r: Mecheal Hamilton, President-Elect, Farmington Rotary; Todd Bard, EVV Girl Foundation; Matthew Vendetti, President, Farmington Rotary; Greg Latz, CCMC Foundation. 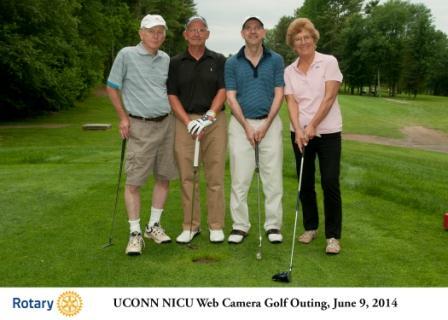 This is an example of a club donation for one camera. Our club will be following suit soon!